He is an unlikely local hero, but the British punk legend Joe Strummer, lead singer with the Clash, is set to have a square named after him in one of Spain's most beautiful cities, Granada. Officials confirmed on Tuesday they had chosen a square to be renamed Plaza Joe Strummer, after receiving a petition to honour the musician, who went there from London in 1984 as the Clash began to disintegrate. "A square has been identified and now the proposal has to be approved by the committee of honours and distinctions," said a city hall spokeswoman, María José Anguita. "There was a popular petition for this to happen and the city hall accepted it." Strummer, who died in 2002, travelled to Granada, in southern Spain, after he and bandmate Paul Simonon provoked the Clash's greatest crisis by sacking the guitarist, singer and songwriter Mick Jones in 1983. "He was basically fleeing, running away from the problems he had created in London," said Nick Hall, a Barcelona-based film-maker who is working on a documentary, I Need a Dodge! Joe Strummer on the Run, that tells the musician's Spanish story. 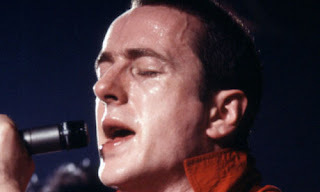 Strummer's connections to Spain went back to pre-Clash days when he shared a London squat with a Spanish girlfriend, Paloma Romero, the future Slits drummer known as Palmolive. The squat was also shared by Romero's sister Esperanza and Richard Dudanski, drummer in Strummer's pub rock band the 101ers. "They would talk a lot about politics, the Franco dictatorship and [the poet and playwright Federico García] Lorca. That is the root of his interest," Hall said. Strummer originally headed for Granada, best known for its Alhambra palace complex, because he knew Spaniards there who had spent time at the London squat. He soon became involved with the local group 091 and ended up producing a record for them in Madrid. "It seems he was giving a lot more love and attention to the Granada band at the time than he was to the Clash," Hall said. "He even put his own money into it, paying for studio time." The contrast between 091 and the Clash, who had triumphed on both sides of the Atlantic, seems to have been comforting. "The Clash had been hugely successful. They had played the Shea Stadium in New York and before 200,000 people in California," Hall said. Another obsession was Lorca, who had been shot by a rightwing execution squad at the beginning of the Spanish civil war. Strummer even tried to dig up the grave, enlisting the help of a Granada friend and buying shovels for the task – though finding the spot proved impossible. He had mentioned both the Spanish poet and Granada in his 1979 song Spanish Bombs on the London Calling album.